yummmmmers! the korean cafes serve waffles for desert :) plus a traditional desert of shaved ice milk with red bean. yum! its so interesting to see how different cultures spin foods. i first had the shaved ice dessert in Hong Kong, years ago, and there its served with chopped, fresh fruit and the soft, sweet tofu. but in korea, i've only seen it served with red been, no fruit. and then the waffles in korea are served for both desert and breakfast, but they are available at every coffee shop. i personally think they are better as a desert! fruit, waffle, ice cream and whipped cream..yum. an the cafe we went to was super cute, im pretty sure the name of the cafe is Slow Garden. 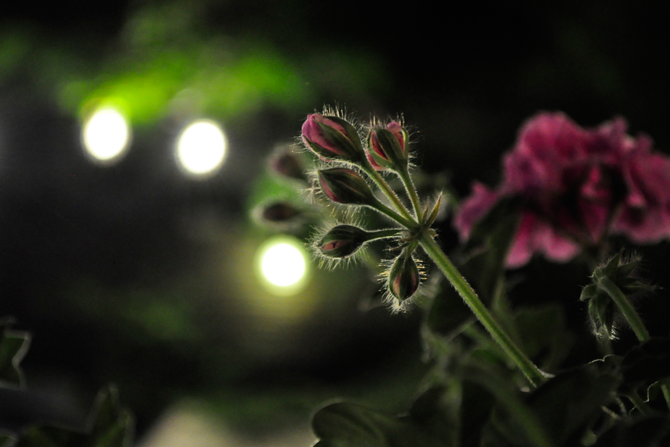 these geraniums were potted on the outdoor patio and just looks so awesome i couldn't resist.